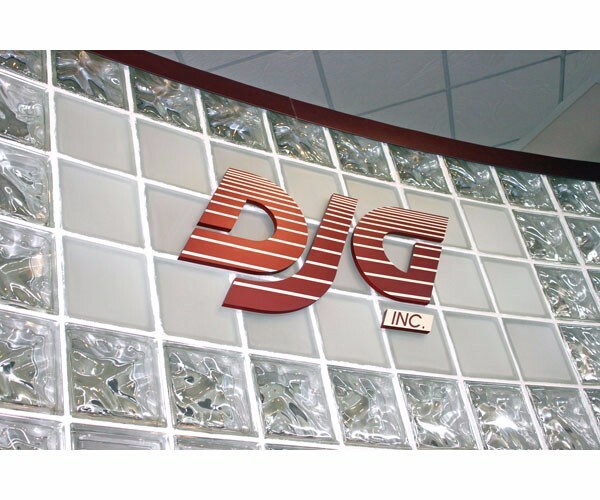 Our own in-house staff designed DJG’s Headquarters Building. To begin, the exterior envelope of the Prairie-style building is constructed with innovative materials consisting of concrete-core polystyrene form walls, which use the Earth’s stable temperature to maintain interior building space temperatures, reducing operating costs. 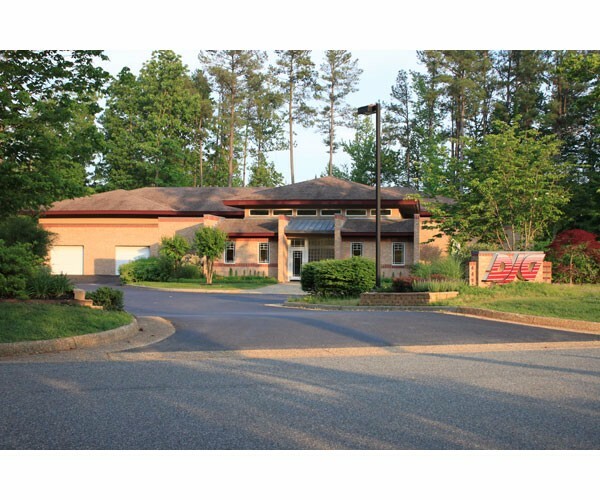 The 10,844 sf bBuilding exceeds Environmental Protection Agency requirements for ENERGY STAR® certification due to its low energy consumption, with operating costs that are 1/3 the industry average. 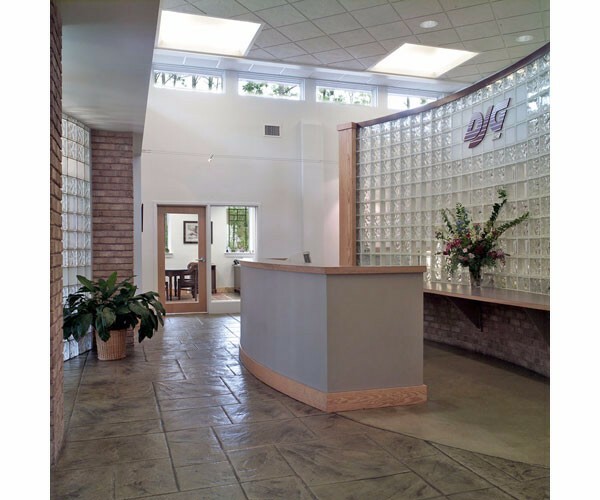 Our facility takes little from the environment but offers attractive, affordable comfort to its occupants, the Owner and the neighboring community. Nature provides much of the light by which people work in the building. A band of clerestory windows, combined with large overhanging eaves, takes advantage of the seasons to provide both light and warmth. 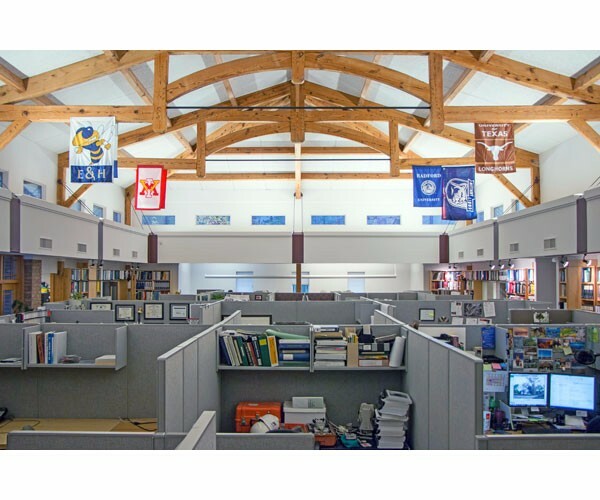 To supplement natural light as needed, an ergonomically-friendly indirect lighting scheme in workspaces reduces glare on computer screens, increasing staff comfort.All heating, ventilation and air conditioning systems are operated in seven distinct zones. This allows occupants to individualize temperatures as desired, resulting in a comfortable building while reducing energy use and costs. Outside, conservation landscaping principles maintained the wooded setting while further enhancing native vegetation. No irrigation system is used. Rather, stormwater is captured and channeled into landscape beds. Award: ENERGY STAR® Certified in 2002 by the Environmental Protection Agency, with energy costs that are 1/3 of average.